Single Density Cushion - Call for Size Options 800-397-5899 - SHIPS FREE! 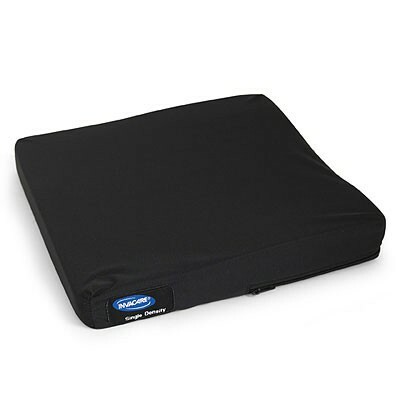 The Single Density Cushion by Invacare is an economical comfort cushion with a single-firmness foam. It has a contoured deformation cut, which provides better support than would a non-contoured cushion, and comes with a SoFleece Waterproof Cover. 250 lb. weight capacity. 2" thick.